“Three,” I respond, although internally I’m saying six. “Thank GOD I’m not pregnant,” she lightheartedly jokes. I smile and feign a chuckle while my heart aches with the sting of my own pregnancies cut short. Miscarriage is a strange sort of grief—both tangible and intangible to those who have lost. There’s a grief for the baby who died combined with a grief for absence of the child we envision in our future. Often I am asked what I’ve learned in the wake of losing our babies. Surely, their lives count for something, right? But I wish people knew it’s not so much about the “life lessons” learned. (We do love to squeeze a good lesson out of heartache, don’t we?) And of course I’ve learned important things: how precious life is, how deep a mother’s love can run, how easy it is to brush off another person’s pain and yet how simple and healing it is to validate it and make room for it in our hearts, how powerful the ministry of presence is, the potency of scripture given in season and with love, and how much a hurting heart can heal through handwritten cards and warm casseroles. But really, it’s not so much about what I’ve learned. What’s impacted me more has to do with how I’ve loved and been loved. It’s the giving and receiving of the one thing that never meets death: Love. The old cliché might be tired but it’s entirely true—the more you give love the more you have to give away. The reverse is true as well—the more you receive love the more you are able to receive. Love fills you right up when you let it. Paul tells the believers in Corinth to “let love be your highest goal” (1 Cor 14:1). I feel like this is finally beginning to make sense to me—that all is nothing if it weren’t for Love (Jesus) holding it together. Our loss matters because our babies matter. Our love was great, which makes their absence great. In the years since publishing my very first post about miscarriage (and the dozens of articles and full length book on how to grieve with hope), I’ve spent countless hours answering thousands of emails and comments and DMs from bereaved parents. I’ve read stories of women left behind and have been in tears praying for dear ones I’ve never met. There are too many stories, too many broken hearts. Although I knew intellectually I wasn’t alone in this type of loss, I needed to experientially know I was not alone; the stories of mothers and fathers who’ve lost babies have helped as I’ve grappled with my own grief. I’ve learned stories have the power to heal both the teller and the listener. And that is why I share with you today—my story, one more time. As the well-known expression goes, “a joy shared is doubled and a grief shared is halved.” Maybe the math isn’t entirely accurate, but the sentiment is. So tell me dear one, with whom will you share your story with today? And whose story will you let weave into yours? Will you open your heart and consider this as a way to share and receive love? And will you remember how much you are loved? Because truly, love matters. And grief—no matter the source or circumstances—teaches us so. 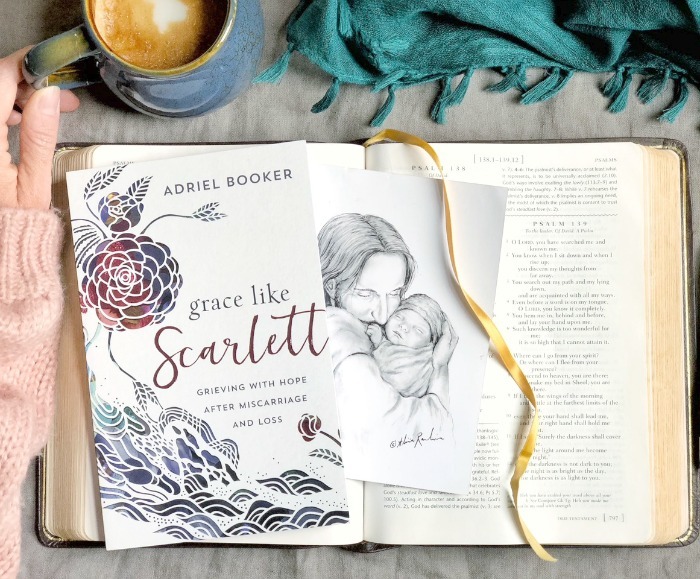 Adriel Booker is a Sydney-based author, speaker, and advocate who believes storytelling, beauty, and the grace of God will change the world. She’s a trusted voice for motherhood and parenting, Christian spirituality, and global women’s issues. 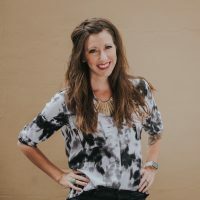 Adriel works with the Love A Mama Collective and has spent years as a leadership coach and Bible teacher in YWAM, local churches, and conferences. 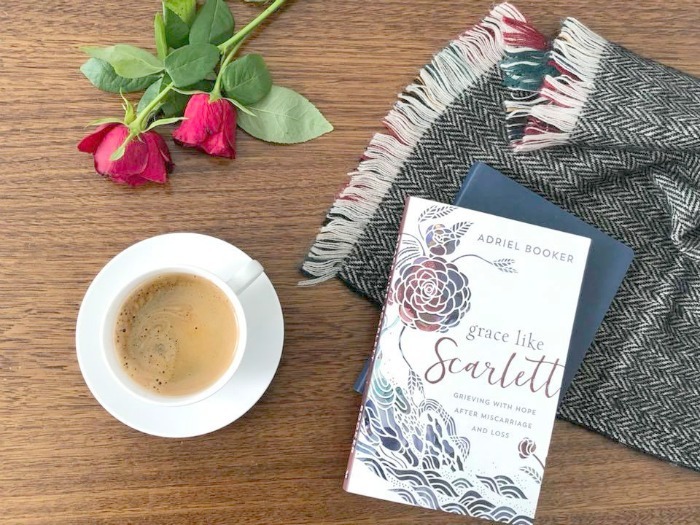 Her latest book is Grace Like Scarlett: Grieving with Hope after Miscarriage and Loss and she’s also released a free guide on how to journal through grief after pregnancy loss. Find Adriel across all social media platforms at @adrielbooker or her blog. Portions of this post originally appeared on AdrielBooker.com: The Promise of Easter and Meeting Our Babies Again. Thanks so much for writing this article. I lost a 6-month old baby to cot death 4 years ago and the pain couldn’t be understood by anyone around me. Thanks for this article. I feel comforted by the fact that I am not alone.